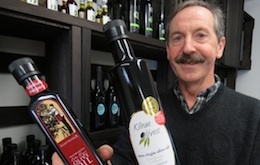 The Olive Press is setting its sights on becoming “The New Zealand Olive Oil Exchange”, seamlessly getting their growers' product “from tree to market”, by offering grove management, harvesting, pressing, supply, storage, bottling and logistics. Original generation time 4.1903 seconds. Cache Loaded in: 0.0525 seconds.